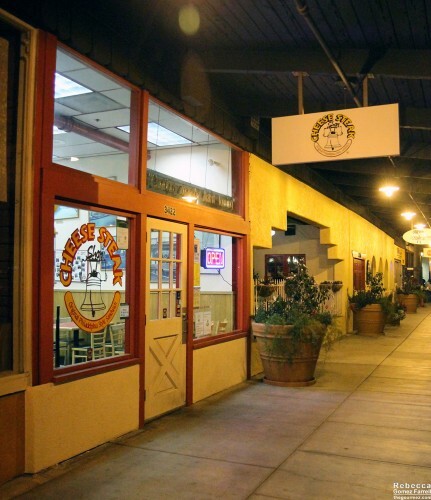 The Cheese Steak Shop is a Bay Area chain that’s been in operation since the early 1980s. They’ve done so well, they even have a couple franchises in the Philippines! I love a good Philly cheese steak, to the point that it was probably more than half the reason I visited Philly a few years back. 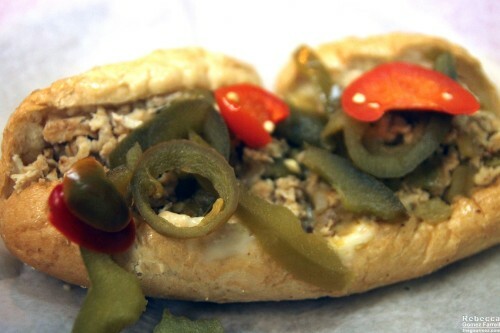 The Cheese Steak Shop makes their sandwiches in that classic style, going so far as to ship in their ingredients from Philly-based vendors. I think that commitment has paid off. At the Castro Valley store, chopped sirloin beef or chicken are the meat options. White American cheese comes with the standard sandwich, which you can get in 7-, 10-, or 15-inch sizes. They have plenty of variations, however, including provolone, meat tossed in barbecue sauce, mushrooms, and spinach. I’m partial to the green chiles and provolone cheese sandwich myself. That one is a 7-inch with chicken. The slightly saucy cheese is melted on the bottom. The meat is juicy and nicely browned, and the bread is absolutely perfect—squishy Italian rolls that melt in your mouth along with the sandwich fillings. Grilled onions and hot and sweet cherry peppers topped off my roll. Subjectively, I prefer my grilled onions in slices rather than diced into nothingness, and the peppers were sautéed too long for my preferences. But I loved each and every bite of the meal. It successful made me marvel at the magnificence that is the greasy cheese steak. My husband had a 10-inch classic with beef. I had that one on my first trip to the store, and the sirloin is just as great as the chicken. I can’t choose a favorite between the two meats, though I swear my sandwich was stuffed fuller the last time. 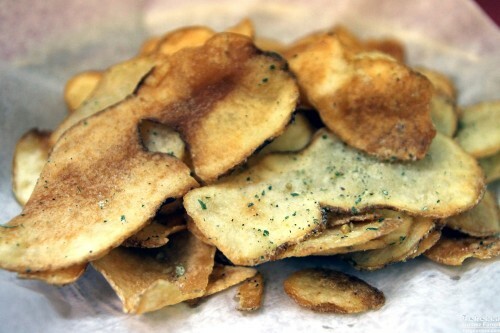 What I can choose is the best reason for going to the Cheese Steak Shop: the garlic potato chips. Oh my word, fellow lovers of food, those are exceptional. I’ve had them twice now, and I will assuredly have them again. The thick-cut chips are fried fresh and tossed in a seasoning mix that is full of flavor without the sometimes repulsive garlic heat. I love that some of the chips are just plain huge, and that they are fried just seconds short of too long. The store’s atmosphere is typical fast food joint with pleasant customer service. It’s popular enough at most meal times. They do have a loyalty card giving a free sandwich for every ten purchased, which is presently residing in my wallet because I will be back. Hoagies, fish and chips, and salads are also offered. 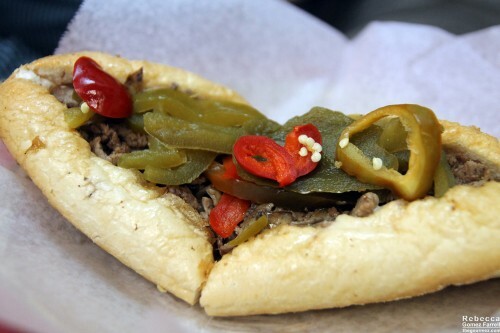 The cheese steaks aren’t perfect—fresher peppers or offering bells in addition to the cherry ones, having sliced rather than diced onions, and giving a scoop more meat and cheese would make me happier—but they are satisfying regardless. And those chips, those chips!